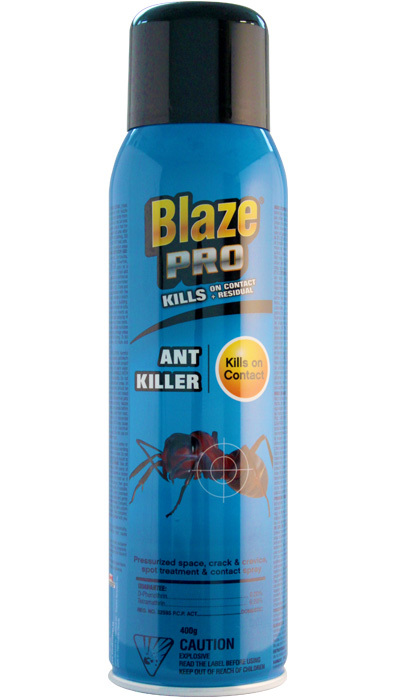 Blaze Pro® Ant Killer kills ants on contact and provides residual killing action for up to 60 days. 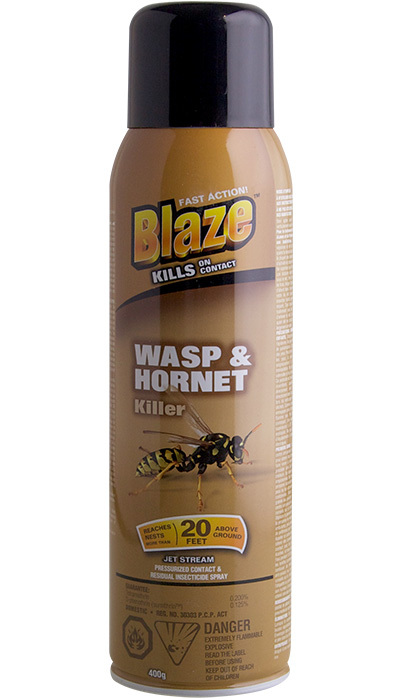 Vaporizes into cracks and crevices for insect control. Directions For Use: SHAKE WELL BEFORE USING. [Hold can upright while spraying.] Hold container with nozzle aimed away from you. Depress valve and spray lightly from a distance of 20-25cm (8 to 10 inches). Always test an area before spraying. Spray in an inconspicuous area to test for possible staining or discoloration. Evaluate test area after drying. DO NOT treat bed linens. DO NOT treat clothing. DO NOT use articles until treatment is dry. DO NOT treat pets. Do not use in food handling, storage or preparation areas while food is present. 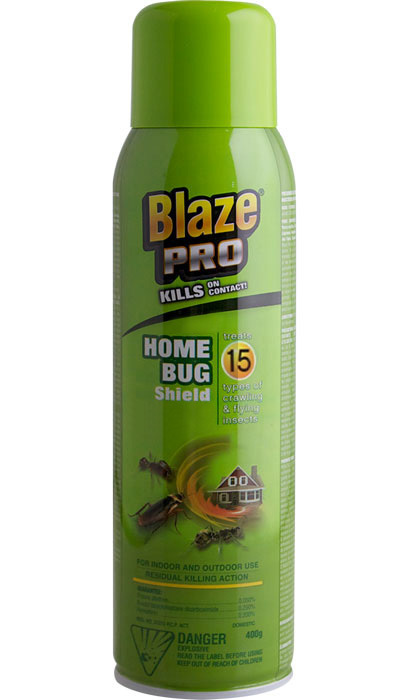 FOR INDOOR AND OUTDOOR USE: CRAWLING INSECTS: Ants, Carpet Beetles, Centipedes, Caterpillars, Cockroaches, Crickets, Fleas, Silverfish, Earwigs, Mealybugs, and Spiders. DO NOT apply as a broadcast application. ONLY perimeter / spot or crack and crevice is permitted. Perimeter/spot application is defined as an application in a wide band or strip around the perimeter of the room or over a small area (< 2 ft2/0.2 m2). Crack and crevice applications are defined as an application with the use of a pin stream nozzle, into cracks and crevices in which pests hide or through which they may enter a building. Application to upholstered furniture must be limited to tufts and seams or spot treatment. 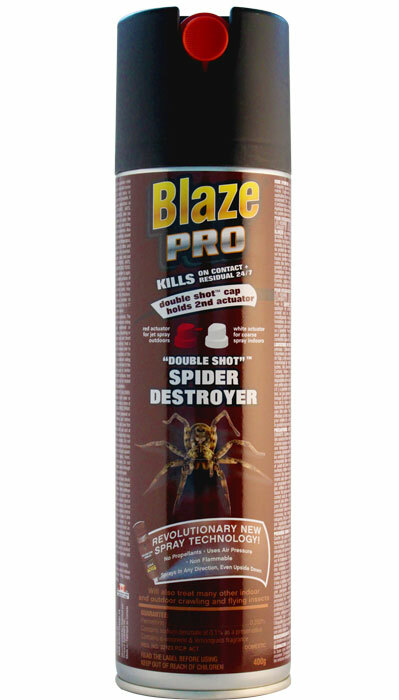 Contact as many insects as possible with the spray in addition to thorough spraying of all parts of the room suspected of harbouring these pests. Special attention should be paid to cracks, hidden surfaces under sinks, behind stoves and refrigerators, storage areas and wherever these pests are suspected of hiding. 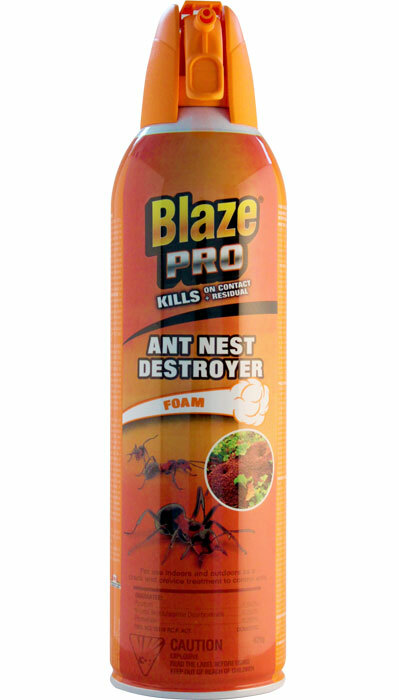 To kill ants, treat doors, around window frames, ant trails and other areas of entry. Repeat as required.